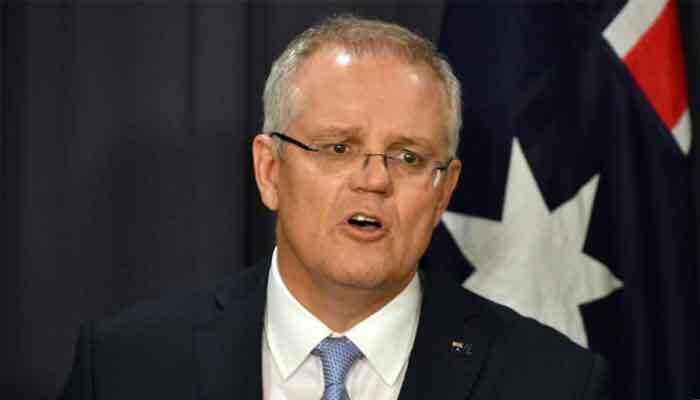 Sydney: Australia´s prime minister laughed off a clumsy attempt by aides to Photoshop him wearing snazzier, and markedly cleaner, footwear on Wednesday, saying he was perfectly happy with his battered old kicks. A snap of Scott Morrison with his family -- which featured as the banner heading on the prime minister´s official website -- drew public attention thanks to his obviously doctored and implausibly white sneakers. "Message to my Department," he jokily tweeted. "I didn´t ask for the shoeshine." "Here they are in all their glory -- my footwear of choice whenever I can get out of a suit," he said.